Socialism, Nazism, progressivism… these "isms" do so much damage. But people still believe. Matt Kibbe of Free the People created a video series called "The Deadly-isms" to inform people about them. Pundits talk about these things in terms of right vs left, but Kibbe points out "when you think about it, they sort of feel the same. You still have government control of businesses and factories, you still have no freedom of speech... no freedom of association, there's hardly any freedom at all." 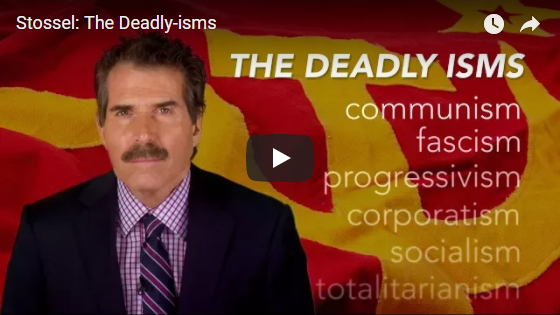 America has been spared totalitarianism and the other worst "isms" of the world, but John Stossel says it does have it's own "ism's" to worry about, like crony capitalism, crapitalism, corporatism. Kibbe describes corporatism as "big business in cahoots with big government, fixing prices, raising costs, screwing the competition." Kibbe says "none of these 'isms' have what it takes to save the world. Only freedom and voluntary cooperation can do that. 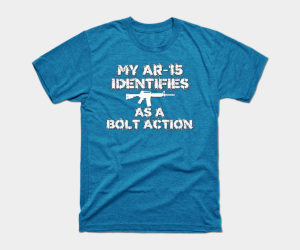 I'll be on your side as long as you don't hurt people and don't take their stuff." Stossel says "that's a political philosophy to believe in!"